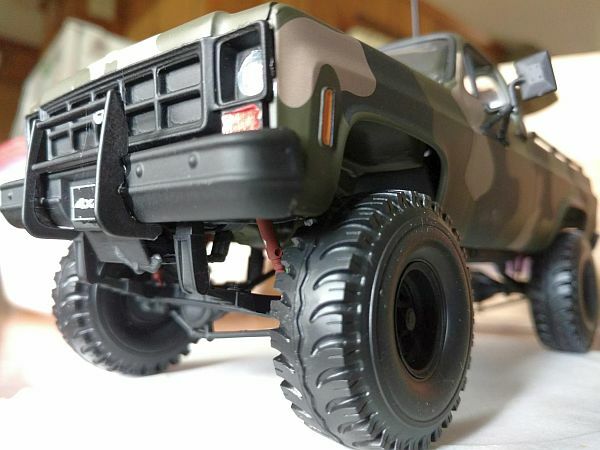 Revell's Big Game Country GMC..
Had a couple issues with one of the decals. Then at the very end I dropped it and boogered up some spots on it. Ofcourse I let out a colorful rant... but I kinda think it gives it a little character..
As always, Thank for looking! Looks great Jeremy! 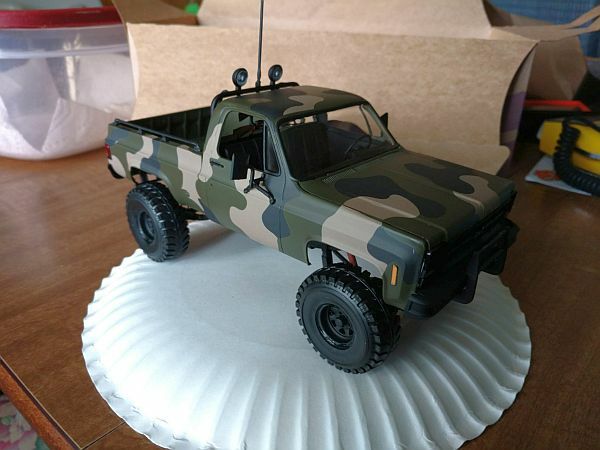 I not a fan of the camo paint job, but it does look nice and clean! Looks great. Yeah I had some decal issues too. Thanks Mike! I do appreciate it! It's a nice kit and the decals are very nicely done... just a few issues here and there. Nice looking build!! I built the old Highroller version years ago. but it does look nice and clean! I like the dull look of the decals. They are much darker and more matte than the decal sheet looks. Did you spray smoke paint or something over them to knock the color down? 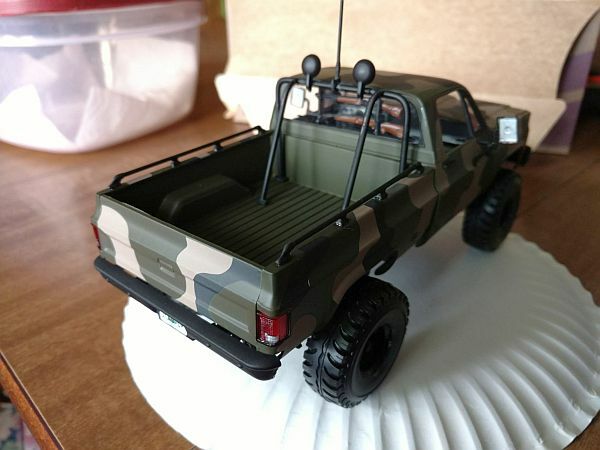 The paint I used was a Tamiya Olive Drab... can't remember the number.. and it's dries flat/matte. 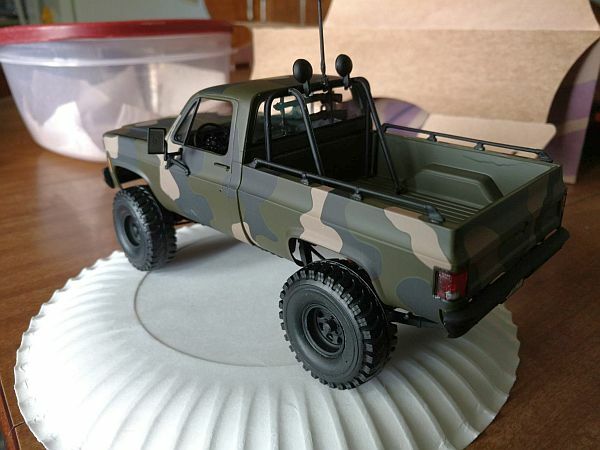 So aftert the decals were placed and fully dried, I covered the whole truck in Tamiya flat clear to even it all out, and burry the decals a little bit. Looks great! 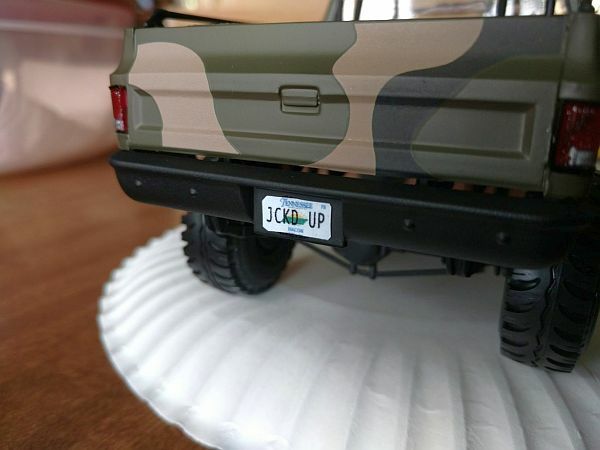 If it has a little character from being dropped then it is like an older Chevy pickup that has camo on it. Good lookin' truck Jeremy! It's hard to believe that camo is all decals. Thanks Joe... they were a joy lol. But very well designed.